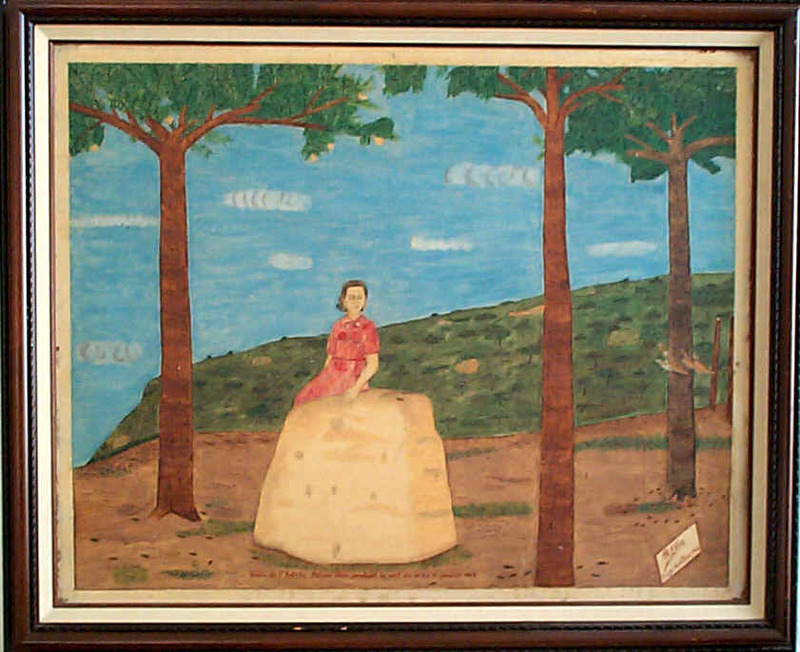 Philomé Obin was arguably the greatest of all Haïtian painters. Only Hector Hyppolite and Castera Bazile — and possibly Rigaud Benoit, J–E Gourgue, and André Pierre — have won comparable critical acclaim, not to speak of commercial success. Certainly no Haitian artist, except perhaps Hyppolite, has been more influential. But the reasons for their influence differ. Hyppolite's derives mostly from his posthumous fame and the praise given his 'self-taught' style; in his relatively short 'professional' life Hyppolite trained few other painters. Seeing Hyppolite's popularity, and the prices his works commanded after his death, many artists tried to become 'the new Hyppolite' — and many gallery owners and collectors (I among them) looked for, and too often thought they had found him. Unlike Hyppolite, Philomé trained scores if not hundreds of artists. 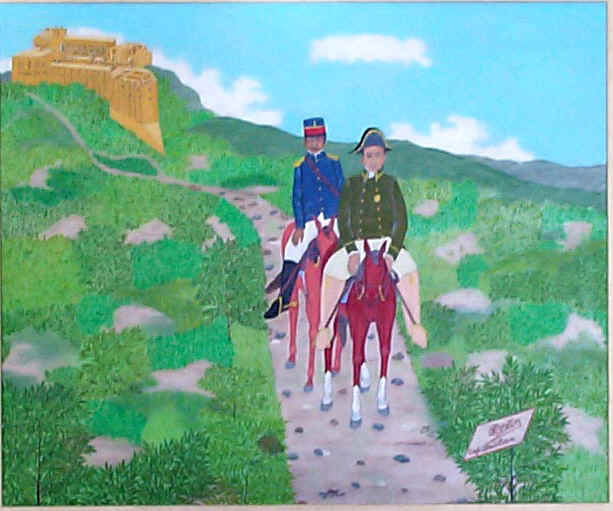 His style has dominated the northern or Cap–Haïtien school for over half–a–century; it has been aped by dozens of painters — many talented, most not. Further, Philomé's brother, and a number of his children, grandchildren, nephews, and nieces are significant figures in Haitian art. Philomé had been painting for many years, most of his life in fact, before DeWitt Peters opened the Centre d'Art. Perhaps without much hope, but because 'I love this art,' he sent a small work to the Centre; Peters immediately recognized his talent and invited him to become a member of the Centre (meaning he would send it works for exhibit and sale). For the next four decades Philomé reigned as Haitian art's greatest living master. 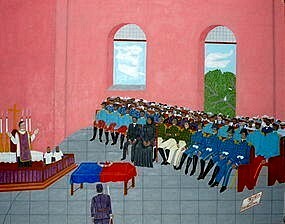 Among his finest works was the central mural over the high altar of the Episcopal Cathedral in Port–au–Prince, a city the stern Baptist considered dissolute and much disliked. 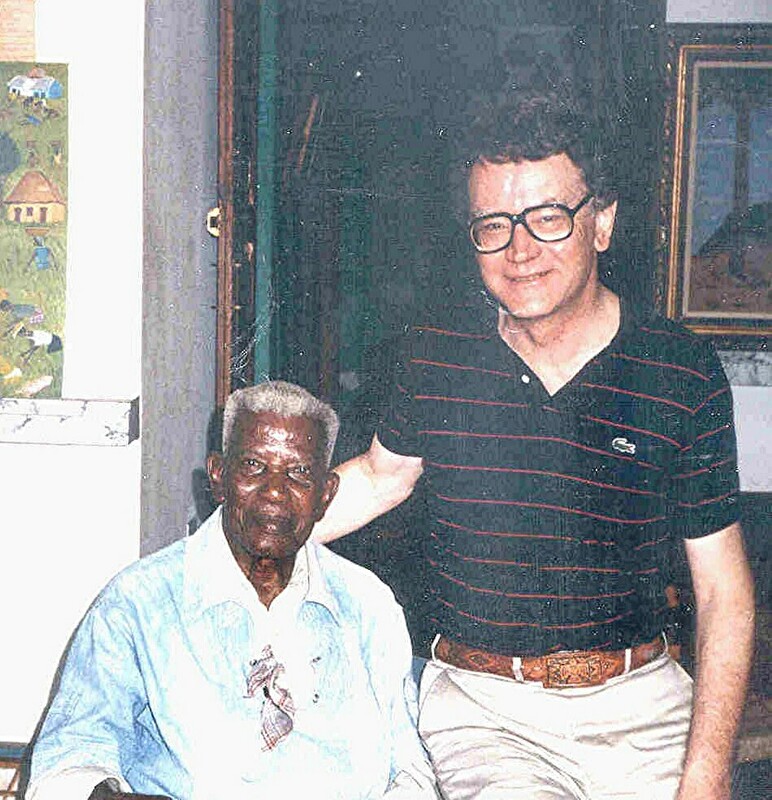 I visited Philomé several times in his home and studio in Cap–Haïtien. On one visit I bought, and Philomé signed, the print Harmonieuse mélodie un Dimanche à la campagne. When I arrived at Philomé's home in Cap–Haïtien to pick up Christophe, three paintings were on a shelf behind the old man's easel. The cards below them read 'Ned Hopkins,' 'Cicely Tyson' (an American actress), and 'Frankfurt Museum.' Mine was the best: the detail outshone what Philomé had done in the other two works. Over three years after Philomé died a dealer offered me two works ostensibly by the master. I rejected them as forgeries: they were clearly the work of Antoine Obin, one of Philomé's sons. The dealer sued; Antoine admitted the fraud; and part of the settlement was Vision. The embarrassed dealer offered it to me for what he'd earlier asked for the faux Philomés. 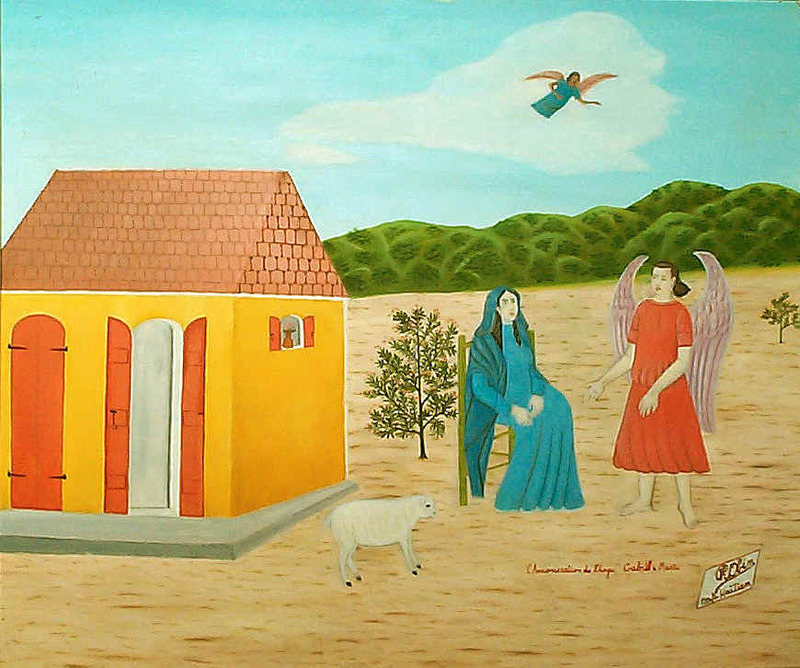 It is one of the few great bargains I've realized in over four decades of collecting Haitian art. I traded for L'Annonciation with Jonathan Cheek, a collector in the Boston area. I have doubts about the work's authenticity, though Mr Cheek wrote that Ute Steibich, a noted authority, had vouched for it. Assuming that's so, Ms Steibich may have been having a bad hair day. At the very least someone other than the master touched the piece, if not a lot more. The characters, particularly the standing angel, are stiff; the title is poorly rendered compared to those on other Philomés, with orthographic errors uncharacteristic of the old man; and what appears to be an earlier notation is faintly visible, erased or painted over, partly below and extending to the right of the title. 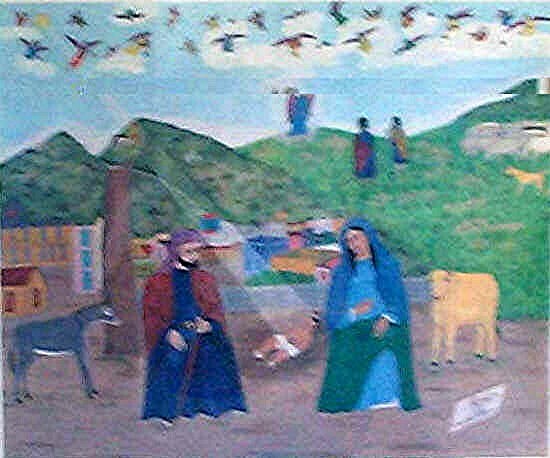 The painting is also typical in a different way. Philomé was quoted, by Rodman, as saying he followed the "classical laws of perspective." While the figures in the front row do get smaller as they move toward the wall, they do so a bit too quickly. And the first few figures in the second row, if they stood up, would dwarf the soldiers in front of them. Classical laws of perspective indeed! H In early 2006 Nader's gallery in Coral Gables, Florida, was offering a similar work — same title, same size, but without the damage — for $50,000. It's possible that Philomé, unhappy with the damage to the original, copied it, or that someone else did.